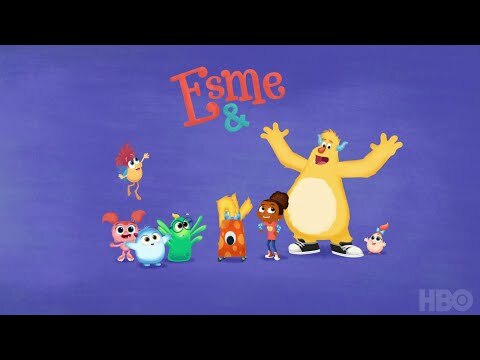 ESME & ROY, the first new animated series from the makers of "Sesame Street" in more than a decade, will debut in the U.S. on SATURDAY, AUG. 18 (9:30-10:00 a.m. ET/PT) on HBO. The show follows a young girl, Esme, and her best monster friend, Roy, on their adventures as the best monster babysitters in Monsterdale. Aimed at children ages four to six, it offers a creative new approach to teaching "learning through play" and mindfulness strategies. With loveable characters who spark strong emotional connections among preschoolers and parents alike, ESME & ROY invites children into a colorful world where even the littlest monsters can overcome big challenges together. Across 26 episodes, ESME & ROY will use the power of play to help younger monsters through familiar situations, including trying new foods and feeling scared during loud thunderstorms. Little viewers will look up to their new favorite monster-sitters as positive role models, learning how to manage strong emotions with simple mindfulness practices alongside ESME & ROY's charges. Esme & Roy Season 1 was released on HBO 245d ago in the US. Notify me when Esme & Roy Season 1 is available.